Forget Arrow and The Flash, the greatest crossover event in the multiverse is actually going to happen somewhere else on The CW, and it doesn’t even involve superheroes. According to TV Insider, Rob Thomas (the musician) is going to guest star on iZombie, which was created by Rob Thomas (the TV guy, who also created by Veronica Mars). Yes, these two different people with the same name are finally going to meet after years and years of the TV guy being mistaken for the musician and the musician probably not realizing that the TV guy even exists. People who don’t pay attention to TV show credits might not care, but worlds are colliding! 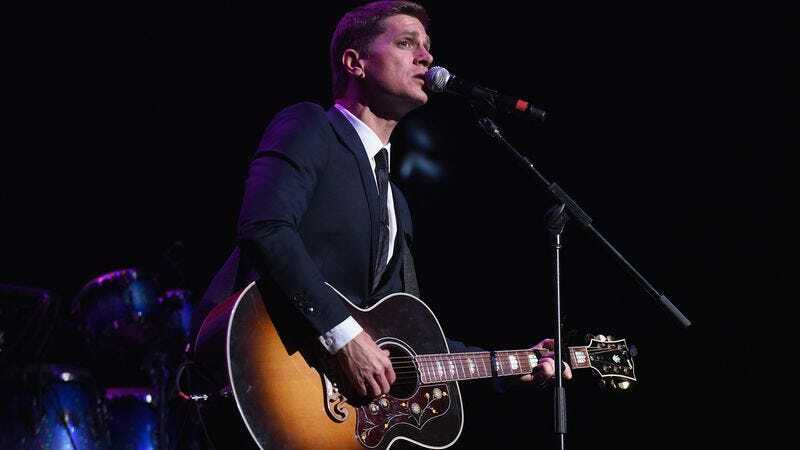 As TV Insider explains it, the Matchbox 20 Rob Thomas will be playing himself, and he’ll be introduced when Vaughn Du Clark (the CEO of Max Rager, the company that created the show’s zombie virus) needs someone to sing the jingle of his company’s new energy drink. The song will debut in iZombie’s April 5 episode, and Thomas himself will appear the week after in the show’s season finale. Hopefully, this meeting of the two Rob Thomases won’t disrupt the space-time continuum and destroy the entire universe, but that’s just the price we have to pay for something this fun.